My challenge for you however is a different one as I’m interested in eliminating the leftover dough when cutting cookies. To achieve this the cookies cannot be circular. Using a square cookie cutter (or simply a knife) would be the easiest way to leave no gaps, but how cool are square cookies? What I’m really looking for are cookie tessallations which are aesthetically pleasing, and at the same time transferable to a baking sheet. Oh yeah: a tessallation “is the process of creating a two-dimensional plane using the repetition of a geometric shape with no overlaps and no gap” according to Wikipedia. So – no gaps – no leftover cookie dough! This is one way of solving the problem with leftover dough shown in the top picture. 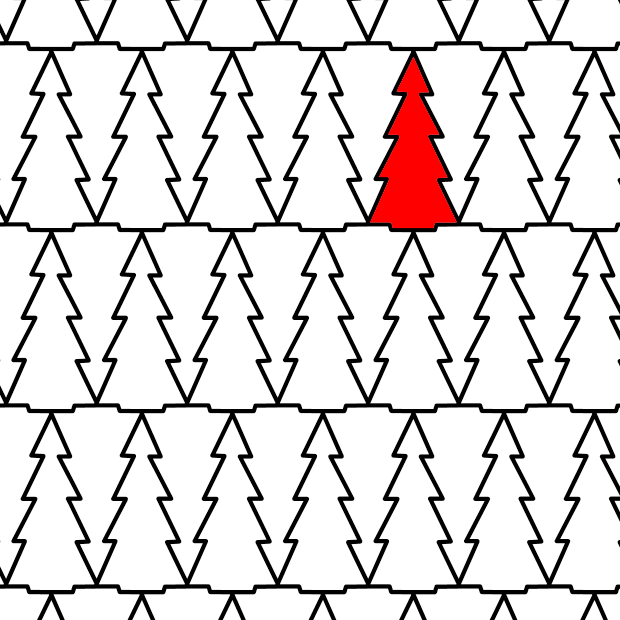 A tree can quite easily be transformed into a shape that fills the plane without any gaps. This image was made using the Tess software mentioned below. 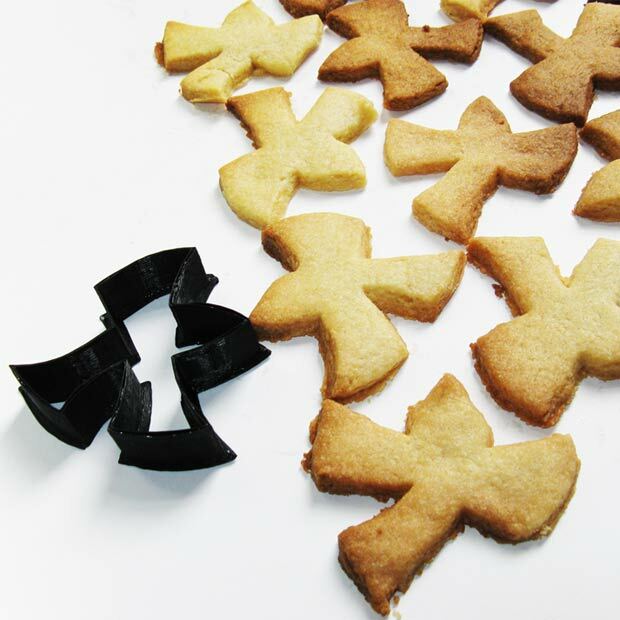 Over at Thingiverse the design file for this Escher inspired cookie cutter can be downloaded (Photo by Bas Pijls via Thingiverse). And should you want to transfer your own designs into a 3D printable format, check out this cookie-cutter-generator. 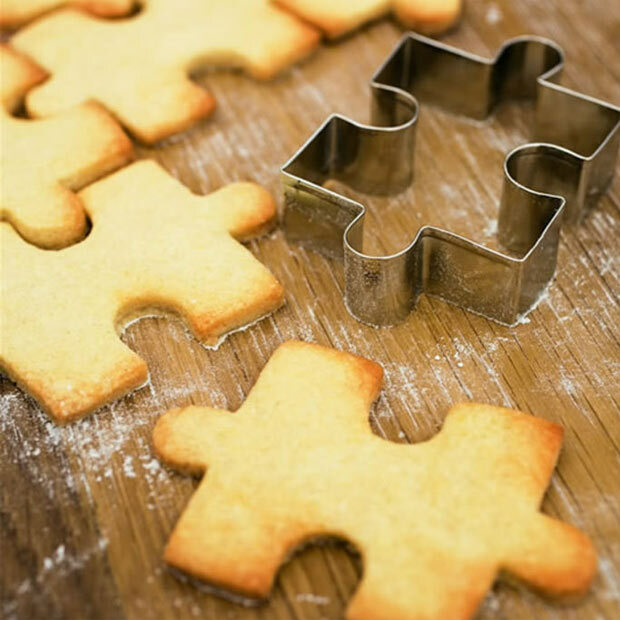 From Cox & Cox you can buy this Jigsaw cookie cutter (Photo from Cox & Cox product page). 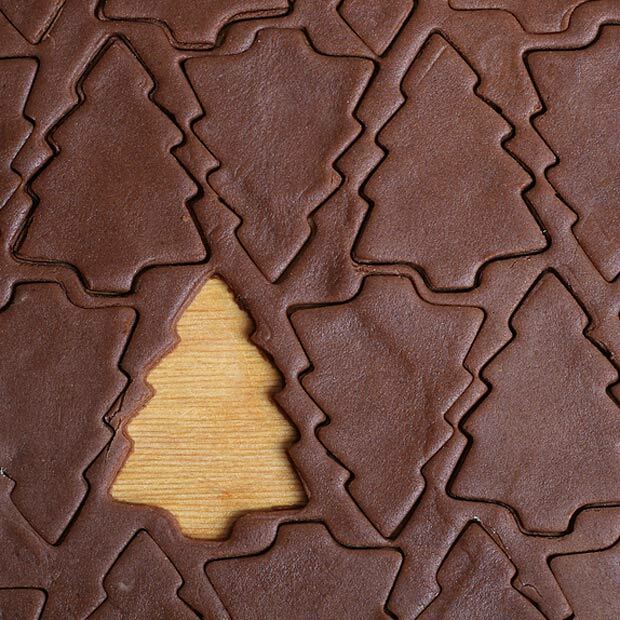 If you have access to a 3D printer you can also print your own jigsaw cookie cutter. These elaborate cookie cutters are designed by Keith Kritselis. 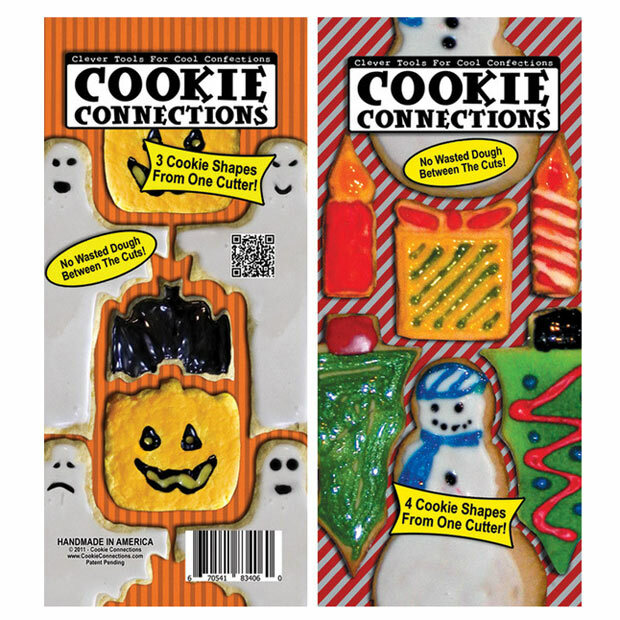 Over at Kickstarter you can find more information about his special cookie cutters for Halloween and Christmas. What makes them special is that each tessellation is made up of three or four different shapes. 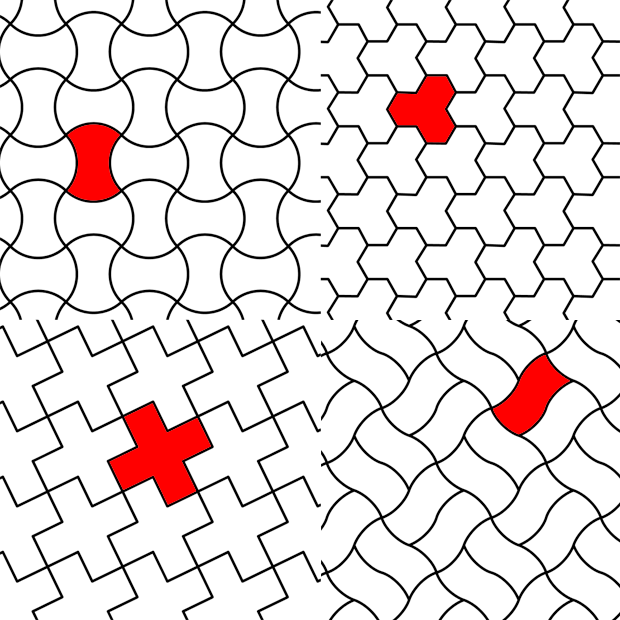 If you rather want to make your own tessellations there are a couple of different software and online apps available, but I’ve found Tess to be one of the best. An evaluation copy of Tess (no save function) can be downloaded for free. Below are a couple of designs I’ve made. 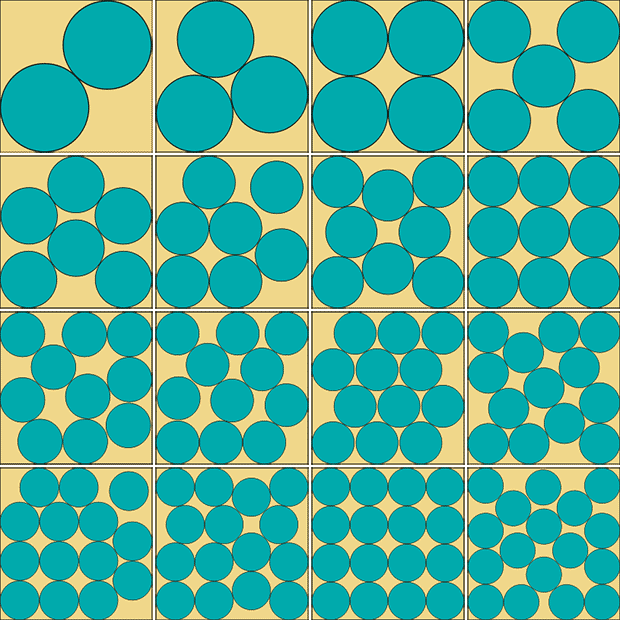 The patterns are nice, but would I want to each cookies with these shapes? And finally the challenge for you all: Make your own cookie tessallations and share it! It’s not a competition, but rather an invitation to contribute. If the design is great I might have it 3D printed on a friends MakerBot or order it in metal from Shapeways and blog about it here 🙂 If you send me a picture (preferably at least 620 pixels wide/high, email to webmaster/a/khymos.org) I’ll put up a gallery to display the submitted designs. I would pay a lot for some Penrose/quasicrystal cookie cutters! Shouldn’t be too hard if they’re just the kite/dart combo. I’ve made tangram gingerbread for friends before. It’s good for posting to people as a gift. The cutter should be made into a roller to make for less waste, like a rolling pin that has the pattern inlaid. You mean something like this gingerbread cookie roller? I am so glad you posted this. I have been trying to convince my Pastry Chef that these are a good idea. We designed them in grade 5 math class, as a fun excersise.